1. The Luckiest St. Patrick’s Day Ever! Top o’ the morning! It’s March seventeen and the leprechauns are getting reading for St. Patrick’s Day. 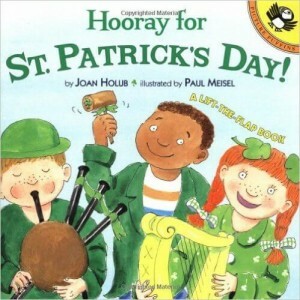 “The Luckiest St. Patrick’s Day Ever!” is a delightful rhyming story with brilliant illustrations to keep your little ones reading until the end! So come on, join the leprechauns on their St. Patrick’s Day parade filled with music, dancing and other funny little things! 2. Hooray for St. Patrick’s Day! 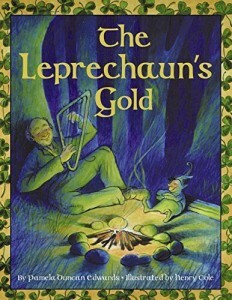 Can you find the sneaky little leprechaun on each page? This exciting lift-the-flap book is perfect for teaching your little ones about the celebrations on St. Patrick’s Day, everything from holiday crafts to Irish food. 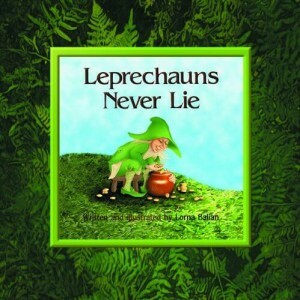 An informative book with a fun touch to keep your little leprechauns entertained for hours! This may be the oldest book on our list, but one with a great moral. It tells the story a young boy named Jamie, as he tries to prove to everyone that he is old enough to march in the big St. Patrick’s Day parade! There is only one way that Jamie can show his independence and you’ll have to read the story to find out! Silly old, Ninny Nanny doesn’t want to do any work, except for searching for some leprechaun gold. After all the effort and work put into finding the gold, Ninny Nanny gets an unexpected surprise! 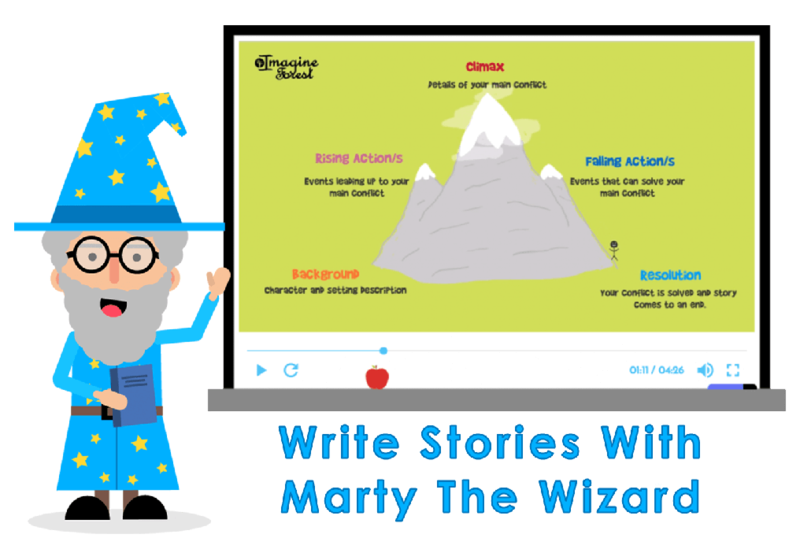 A funny tale with a surprising twist at the end to keep your little ones entertained. An informative tale about the birth of Patrick in Britain to him being captured and taken to Ireland by a group of bandits. 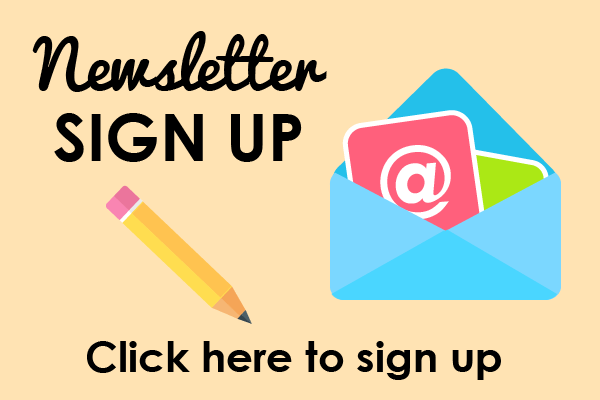 Learn how his “dreams” led him to convert the Irish people to the Christian faith. 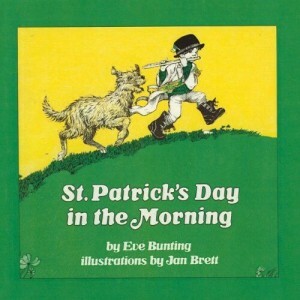 This is the perfect book to teach children about the true meaning behind St. Patrick’s day, including some legends of how St. Patrick helped the Irish people. 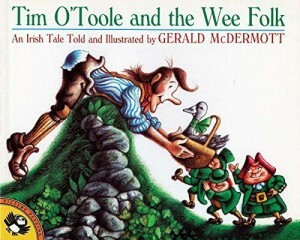 Funny tale about Tim O’Toole, who is tricked out of one treasure after another by the McGoons. With the help from some little people he is able to regain his treasure. 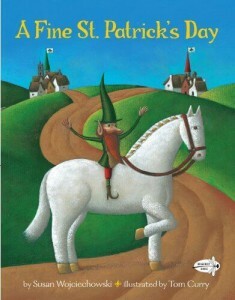 A beautiful, whimsical tale filled with Irish humour making it a perfect read on St. Patrick’s Day. An Irish twist on the original Christmas tale. 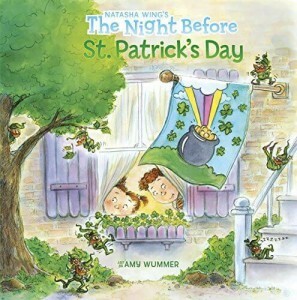 This time round it is the night before St. Patricks Day and Tim and Maureen are wide awake setting up traps to capture a leprechaun. To their surprise, the next morning they find a leprechaun trapped in one of their traps. But will they be able to find his pot of gold? Rabbit is growing his own shamrocks to wear at the St. Patrick’s day parade. One day rabbit’s pot of shamrocks goes missing! He searches everywhere, but will he find them in time? After reading this cute little story, you will want to grow your own green shamrocks in your garden! And why not? It’s St. Patrick’s Day after all. Two towns, Tralee and Tralah are competing against each other at the annual St. Patrick’s day decorating contest. Every year, Tralah defeats Tralee. But this year everything changes, as a stranger with pointed ears and boots trimmed with bells turns up. What does this mean for the two towns? A story with beautiful illustrations and a lovely message about kindness never gets old! This classic Irish legend, tells the tale of two harpists, merry-hearted Pat and ill-spirited Tom. As they both compete to be the finest harpist in all of Ireland, Tom realises that Pat is a better musician that he is. Tom sets out to sabotage Pat, but fails miserably each time. 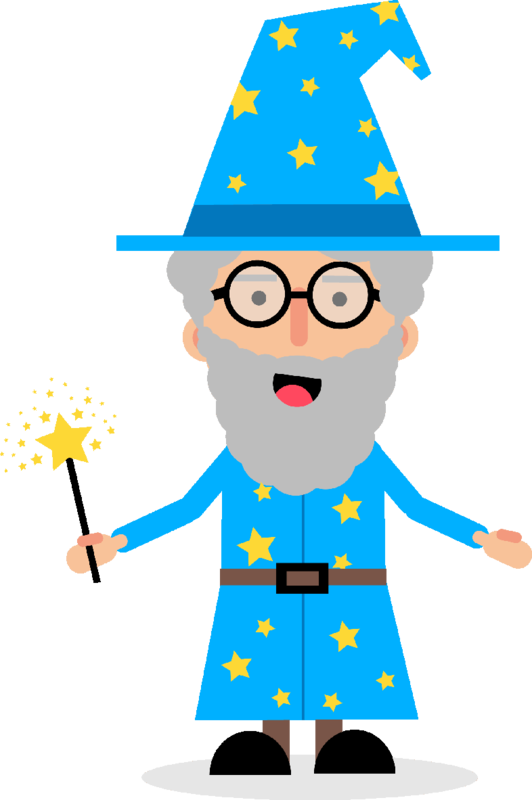 Your kids will enjoy reading this memorable story with a great moral. 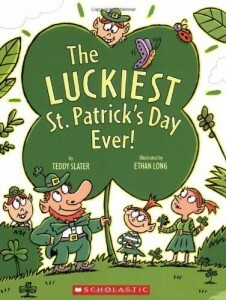 Plus, as a bonus they can search for little shamrocks hidden on each page! 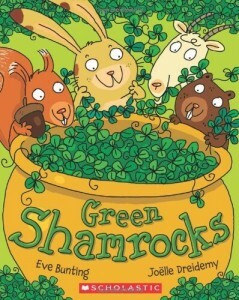 That’s our list of top St. Patrick’s day books for kids! Which ones have you read? 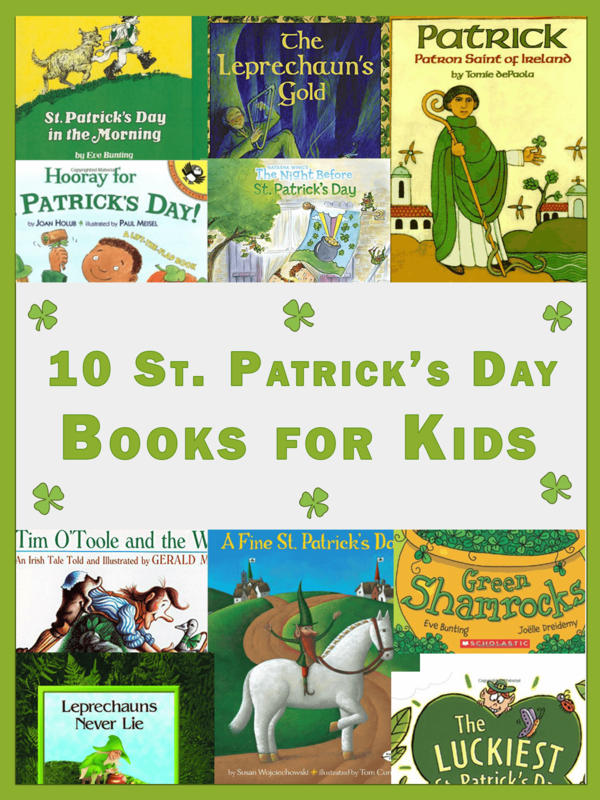 You can even pay a trip to your local library to find more St. Patrick’s Day books for kids? 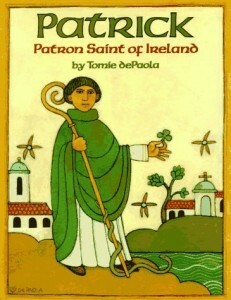 Let us know in the comments your book suggestions for St. Patrick’s Day. 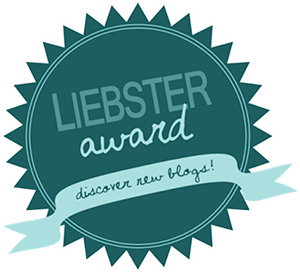 P.S Check out our great reading book lists for kids on the Imagine Forest blog!